This luxury DIY box set is perfect for the couple looking for super stylish stationery at an affordable price – particularly those partial to a more ‘hands on’ approach. 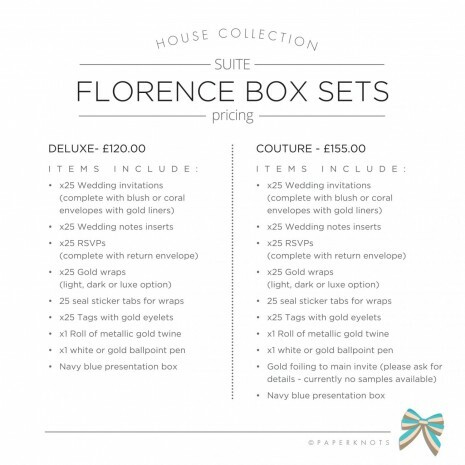 The ‘Florence’ box sets have all the extra details and finishing touches of a bespoke wedding stationery order, with the simple exception of your personal details – however, you’ll be able to handwrite these with the option of the gold or white ballpoint gel pens available as part of the luxury sets. 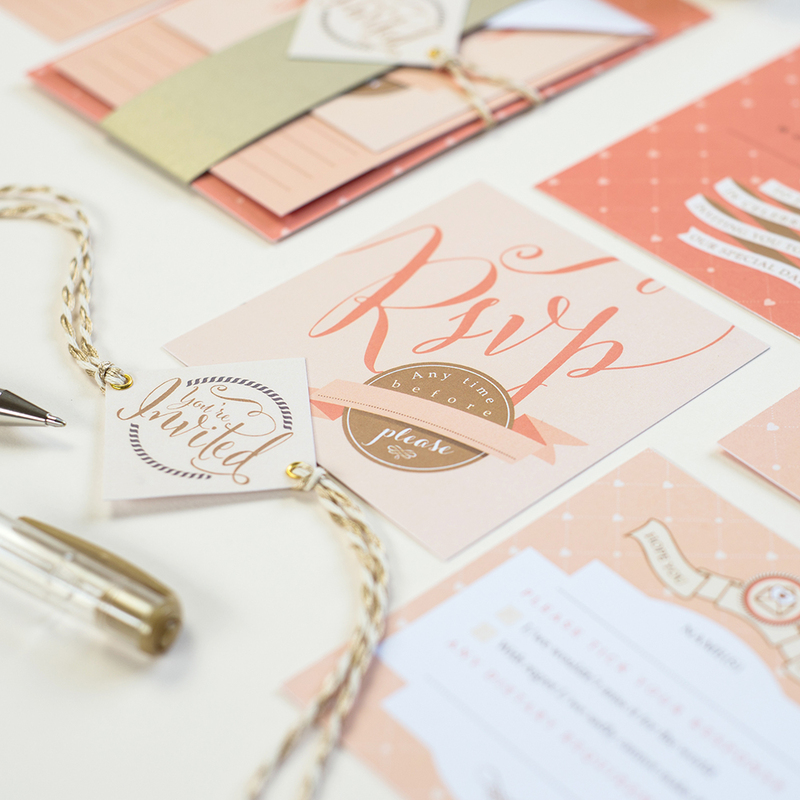 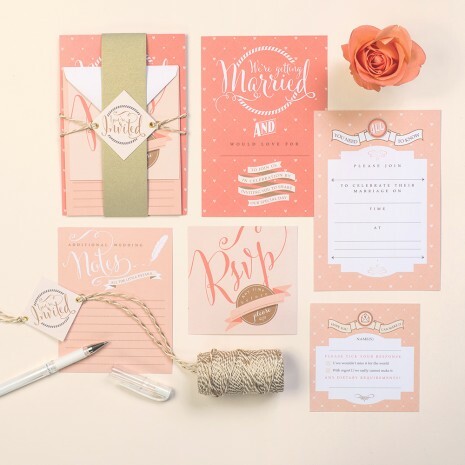 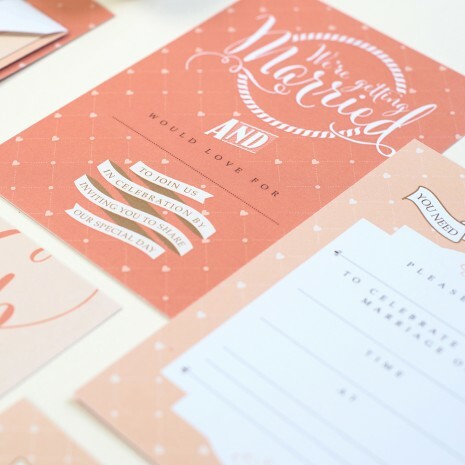 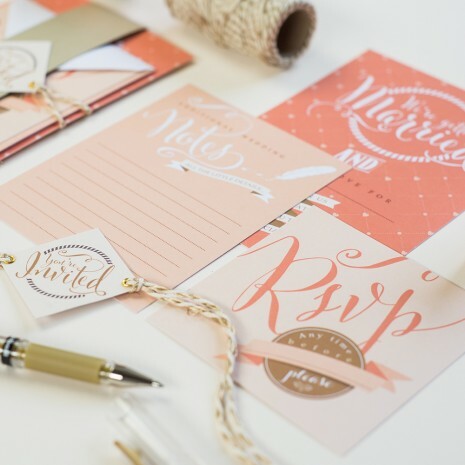 This stunning coral and blush wedding collection includes x25 main wedding invitations, with sectioned spaces on the reverse to enter all the wedding details. 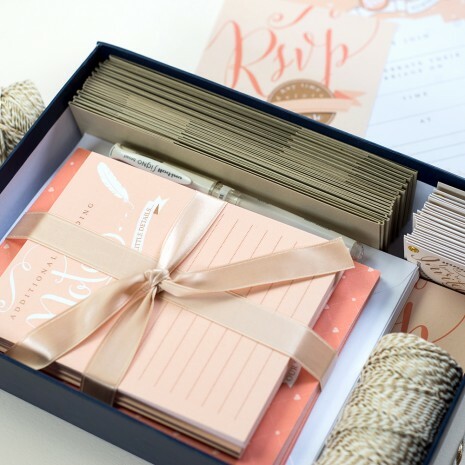 For all those finer details such as gift lists, hotels, directions etc you are provided with x25 ‘wedding notes’ for you to fill in with all your important information. Alongside this, x25 sweet little RSVP cards are included, which even come with their own return envelopes! And finally to complete the suite, you’ll be provided with x25 gold wraps and x25 cute tags that come with a beautiful roll of metallic bakers twine to bind the stationery together. 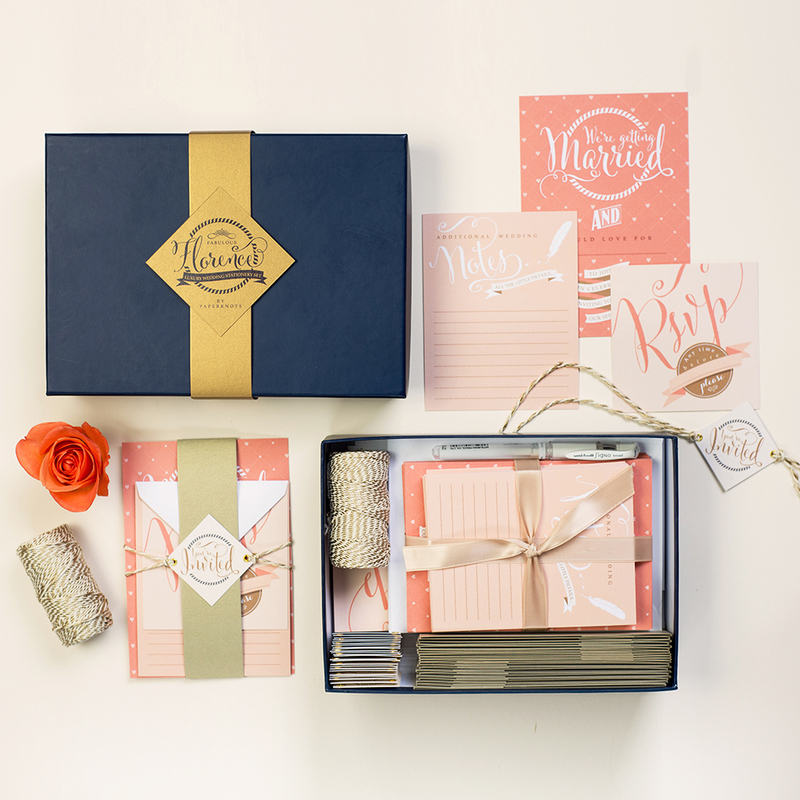 Each order is packaged in a beautiful navy box, which can be saved as a keepsake box afterwards. There are 4 box set options you can choose from to suit your budget ranging from classic to couture. 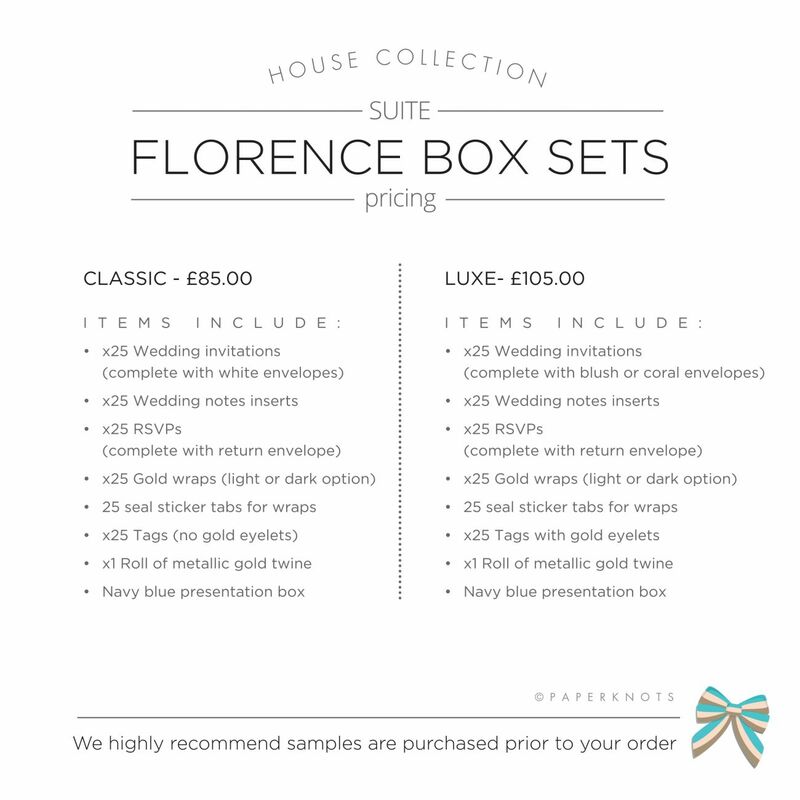 Please see the price list images for a contents list of the exact items in each set before purchasing. 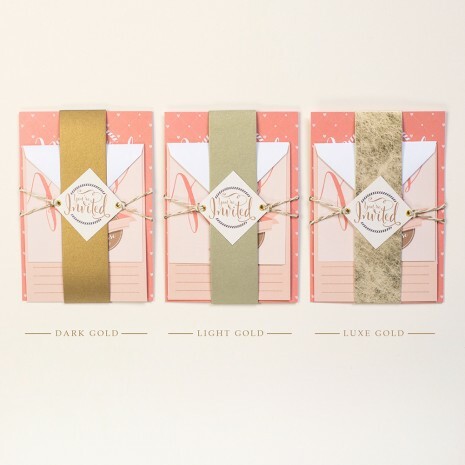 When making your order please leave a note as to which colour wrap you are looking for and if you are ordering one of the luxury boxes please also mention which colour postage envelope you are looking for – please note these are now on a limited availability. 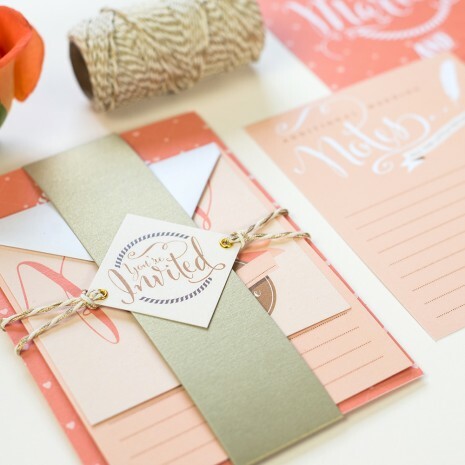 We will confirm each item is in stock before completing your order. Please email with any enquires pre-ordering. 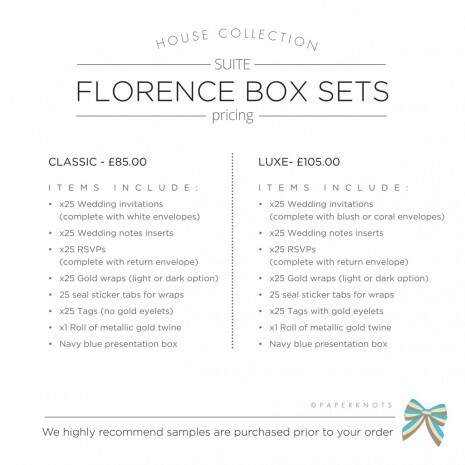 Box sets are non-refundable, so it is highly recommended that you order a sample of your preferred option in order to see the exact sizing, colours, quality and materials you will be receiving. 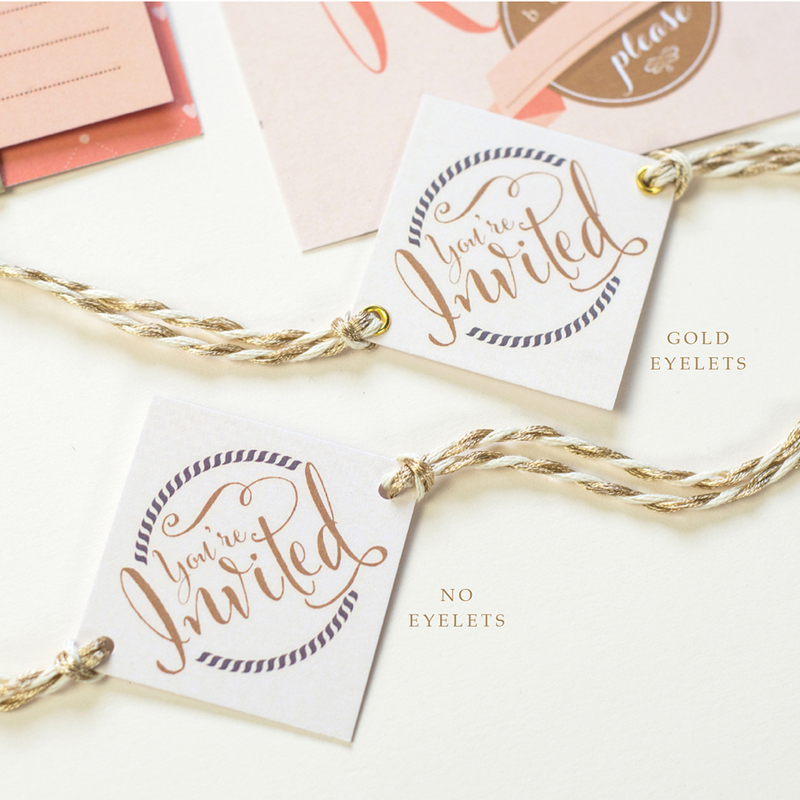 Samples come as made up invitations. 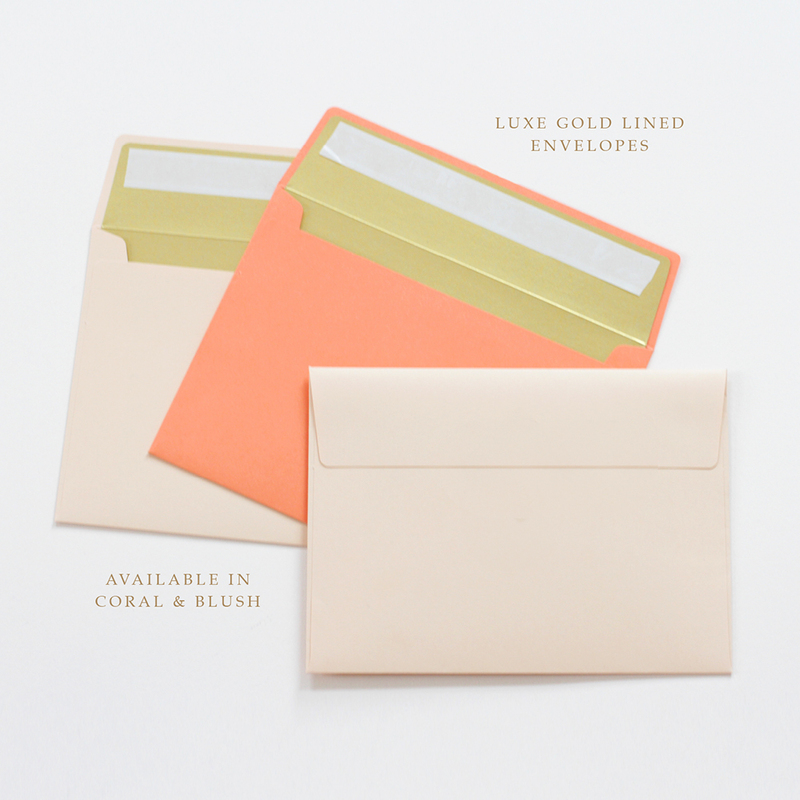 Couture samples are now OUT OF STOCK. All box sets will be sent as a recorded delivery so please ensure the address you select will have someone available to sign for the parcel.